and  Scottish Screen Archive at the National Library of Scotland]. 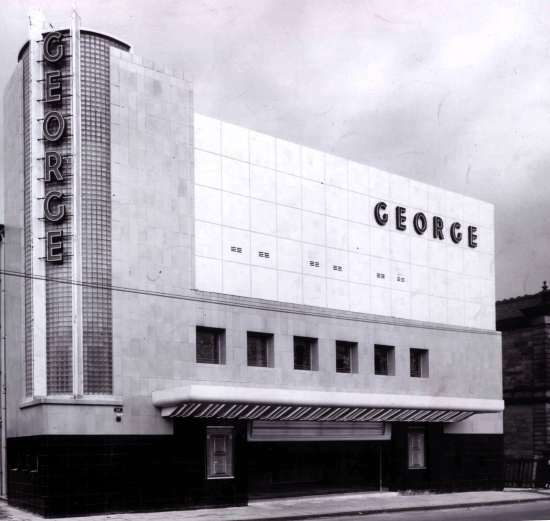 Opened in November 1951 by George Palmer. Architect was Lennox Paterson, and original seating was for 1,750. 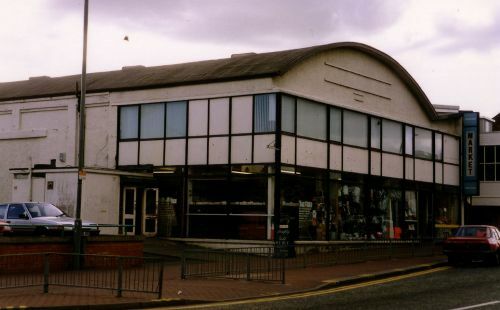 Continued as a cinema until demolition in autumn 1982. 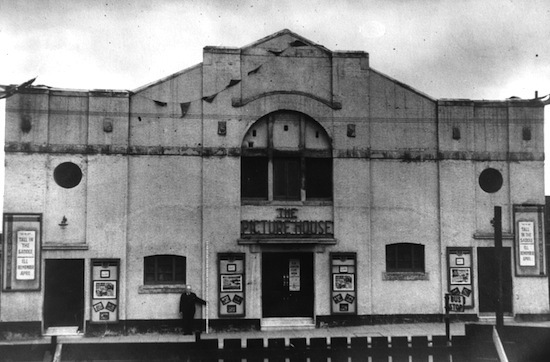 The George was the flagship cinema of the George Palmer circuit [Circuit History article here]. Opened 1904 seating 630. Closed 1958. Frontage demolished, now a market. 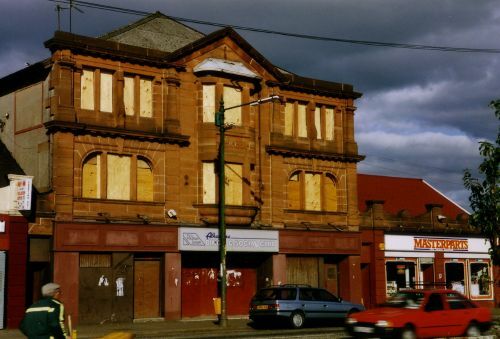 Additional photo here c1997 courtesy Norrie Mcnamee.